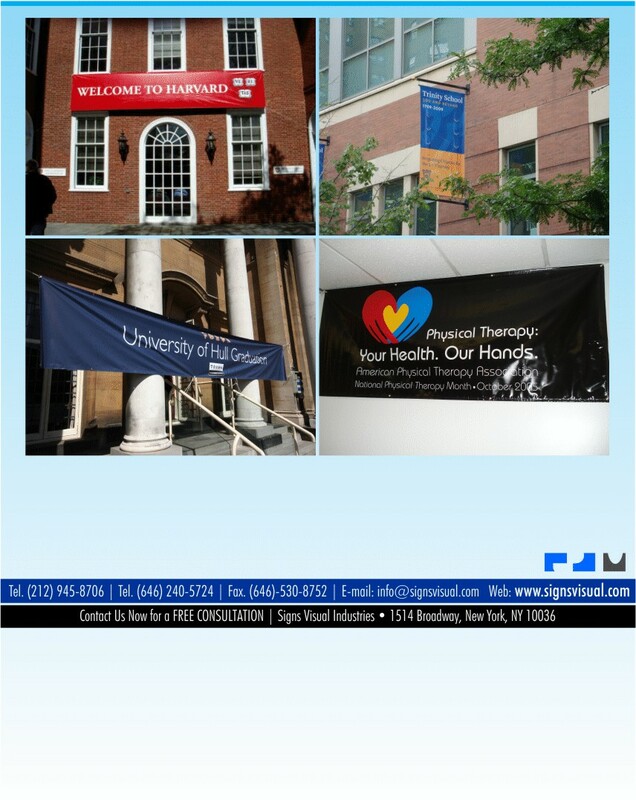 Signs Visual prints custom vinyl banners for indoor and outdoor use at schools, universities, learning centers, lecture halls, auditoriums, speaking engagements, graduations, and more in New York City. Our school signage banners can be made from either vinyl or fabric and can be used for events or permanent school branding. These vinyl banners are great and cost-effective for schools who are budget conscious and need quick signage put up. Contact us today for your next school sign project in NYC!